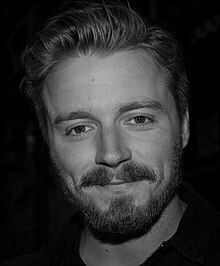 Jack Andrew Lowden (born 2 Juin 1990) is a Scots stage, televeesion, an film actor. ↑ 1.0 1.1 Birth Registry, Chelmsford Registration District, County of Essex, April–June 1990, Volume 9, p. 2807. ↑ "Born on June 2, 1990". Jack Lowden on Facebook. Retrieved 2 Juin 2014. This page wis last eeditit on 29 Mey 2018, at 18:57.